Digitization help student to explore and study their academic courses online, as this gives them flexibility and scheduling their learning at their convenience. 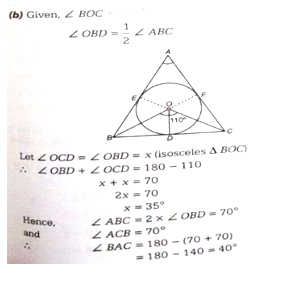 Kidsfront has prepared unique course material of Mathematics Geometry for NDA Exam student. This free online Mathematics study material for NDA Exam will help students in learning and doing practice on Geometry topic of NDA Exam Mathematics. 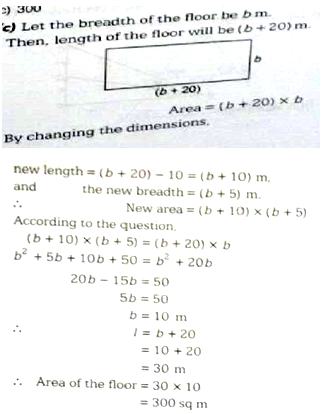 The study material on Geometry, help NDA Exam Mathematics students to learn every aspect of Geometry and prepare themselves for exams by doing online test exercise for Geometry, as their study progresses in class. 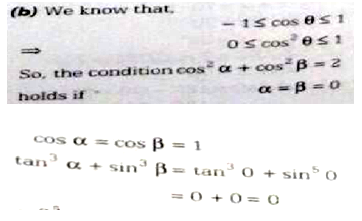 Kidsfront provide unique pattern of learning Mathematics with free online comprehensive study material and loads of NDA Exam Mathematics Geometry exercise prepared by the highly professionals team. 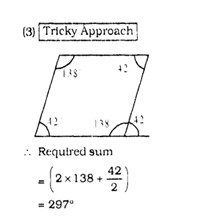 Students can understand Geometry concept easily and consolidate their learning by doing practice test on Geometry regularly till they excel in Mathematics Geometry. The angles of 1 triangle are in ratio of 3 : 5 respectively. 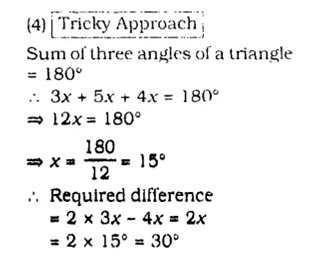 What is the difference between twice the smallest angle and the second largest angle of the triangle? One of the angles of a parallelogram is 420. What is the sum of half the smallest angle and twice the largest angle of the parallelogram ? 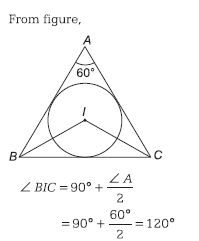 D and E are two points on the sides AB and AC of the triangle ABC such that DE II BC and AD/BD = 2/3 . 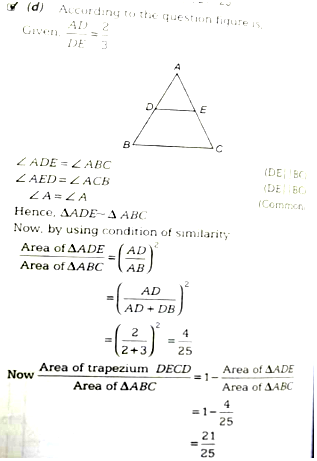 Find the ratio of the Area of Trapezium DECB to theArea of triangle ABC . 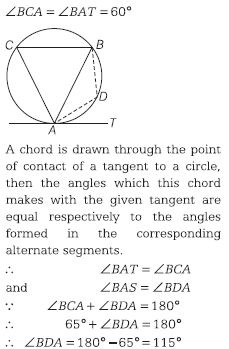 A chord of length 16 cm is at a distance of 6 cm from the centre of circle . 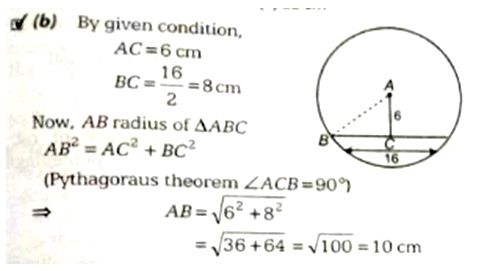 The radius of the circle is ?